Brazil nuts are so high in selenium: 6-8 Brazil nuts contain about 544 mcg of selenium as against 100 gms of almonds which contain only about 2.5 mcg of selenium. According to the 2013 Australian Dietary Guidelines, just two Brazil nuts can provide 100 per cent RDA for selenium for an adult. Nut consumption has been associated with several health benefits, such as it being an antioxidant, cardioprotective, anti-cancerous, anti-inflammatory, anti-obesity and anti-diabetic benefits, among other functional properties. 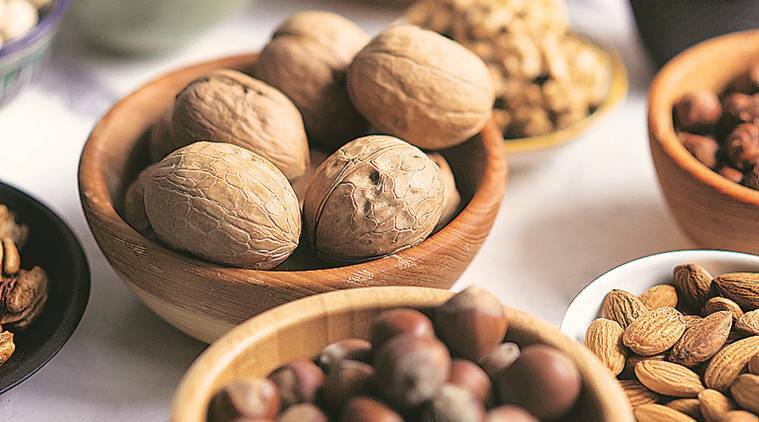 While the commonly consumed ones are almonds, cashews, walnuts, peanuts, pistachios and pine nuts, yet another nut — Brazil Nut (as the name suggests hails from the American tree) — has gained in popularity lately. The Amazonian cherished nut is the tallest long- living plant species among the tropical rain forests. Like most nuts, Brazil nuts are high in healthy fats, proteins, micronutrients and fibre. The two special qualities are exceptionally high dietary antioxidants, especially selenium and vitamin E levels. Brazil nuts are also a good source of other nutrients, including unsaturated fatty acids, magnesium, phosphorus, thiamin, niacin, vitamin B6, calcium, iron, potassium, zinc, and copper. Brazil nuts also possess phenolics, flavonoids and are rich in tocopherol, phytosterols, and squalene. These compounds have beneficial effects due to their antioxidant and anti-proliferative activities, which are linked to a reduced risk for developing atherosclerosis and cancer. Brazil nuts are so high in selenium: 6-8 Brazil nuts contain about 544 mcg of selenium as against 100 gms of almonds which contain only about 2.5 mcg of selenium. The recommended daily allowance for selenium for an adult is 55 mcg. According to the 2013 Australian Dietary Guidelines, just two Brazil nuts can provide 100 per cent RDA for selenium for an adult. Inclusion of this high-selenium food in the diet could avoid the need for fortification or supplements to improve the selenium status. A study published in the Journal of Nutrition and Metabolism in 2013, reported that intake of a single serving (20-50 gms) of Brazil nut can acutely improve the serum lipid profile of healthy volunteers. A significant increase of the plasma selenium levels and HDL cholesterol and a significant decrease in serum LDL cholesterol was observed. Brazil nuts’ richness in vitamin E and other powerful antioxidants (natural substances known to fight diseases) contribute to their role in prevention of heart disease, diabetes and cancer. The antioxidant polyphenols, vitamin E and dietary fiber in brazil nuts may be the components that exert the greatest cancer preventive effect. Additionally, selenium and vitamin E in Brazil nuts work in synergy with the polyphenols to reduce oxidation, preventing damage from free radicals (rogue elements in the body that can destroy cells and potentially lead to problems such as heart disease and stroke). The fat is predominantly heart healthy mono-unsaturated (approx 50 per cent), the type found in Olive oil, a highly desirable type of fat which has been shown to reduce bad cholesterol levels and increase good cholesterol. High MUFA diets are associated with lower cardiovascular disease risk. Due to their high polyunsaturated fat content (omega-6 fatty acids), shelled Brazil nuts may quickly become rancid. Store them in the refrigerator to maintain their freshness. A word of caution: Regularly eating large amounts of Brazil nuts may lead to negative health effects. This is mainly because of their high selenium content. More than 10 times the RDA of selenium can cause fatigue, diarrhoea, brittle hair and fingernails, stimulate skin rashes, and affect the nervous system. Clearly moderation is the key.